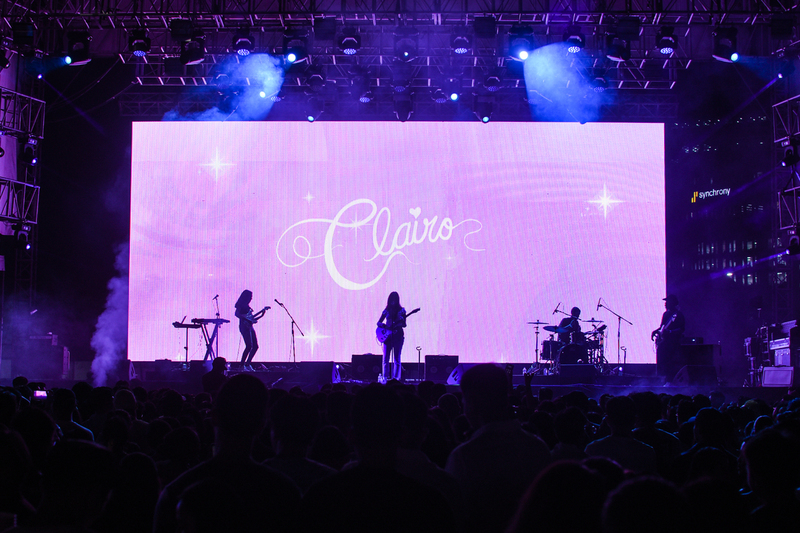 True to their word of being "more than just a music festival," Wanderland brought more things to the table with their magic-themed event scheduled last March 9 to 10. 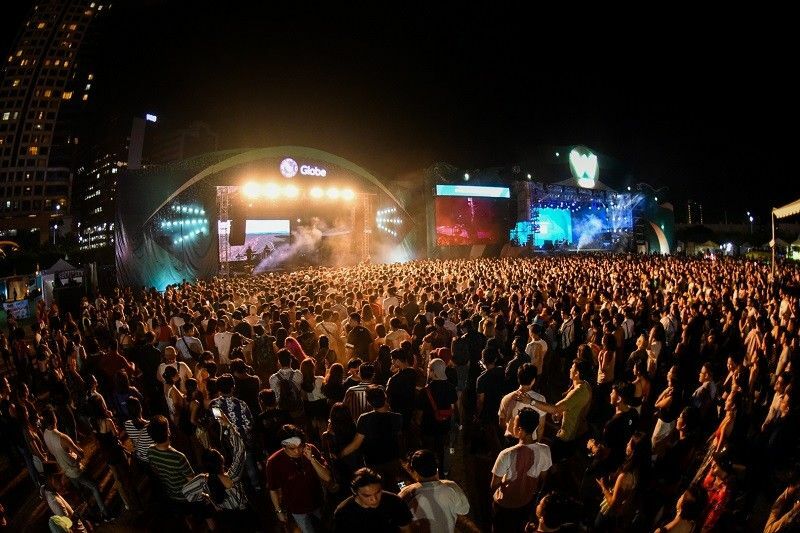 MANILA, Philippines — A week removed since the event, let's take a look back at what transpired at one of the country's largest annual music festival this year. 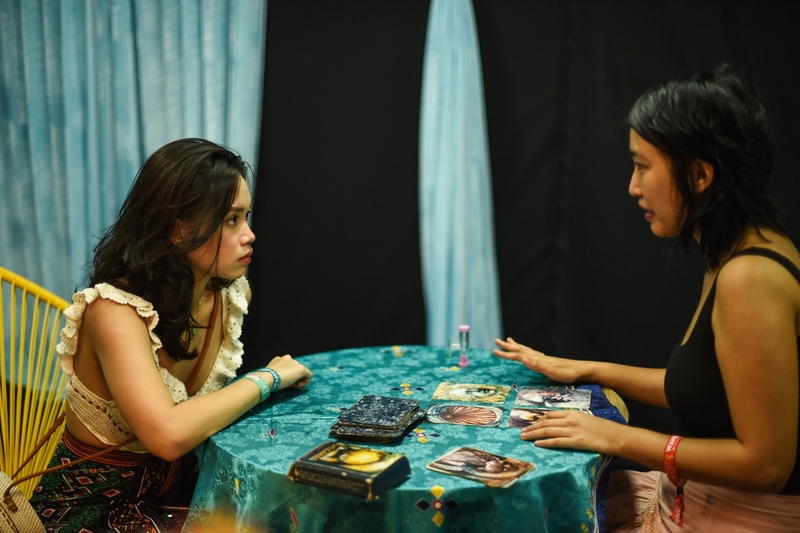 Things like fortune telling booths and tarot card reading sessions graced the fields of Filinvest City Events Grounds, Muntinlupa that weekend, among many other interesting merch and finds. A "wanderer" getting her fortune revealed to her. What really tickled the fancy of some though were the free mobile phone charging stations they had with a sign that says "Don't lose your magic." Nice touch! Concert goers charge for free in the event grounds. 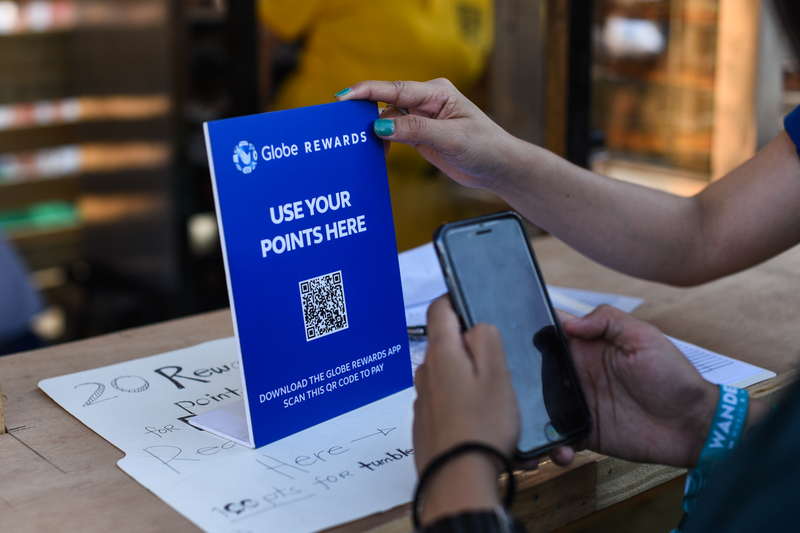 If that wasn't enough, having points in your Globe rewards magically entitled you to some perks. A concert goer scans a code to redeem rewards. 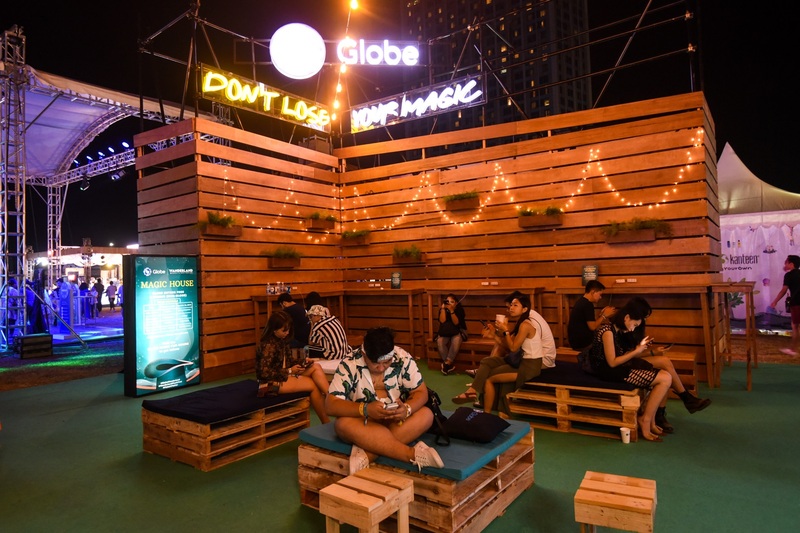 With all things things glittery and twinkly, those who were able to access the elevated viewing deck at the Star Lounge were treated to both a better sight of the performances and the crowd, with the stars gazing back at them. 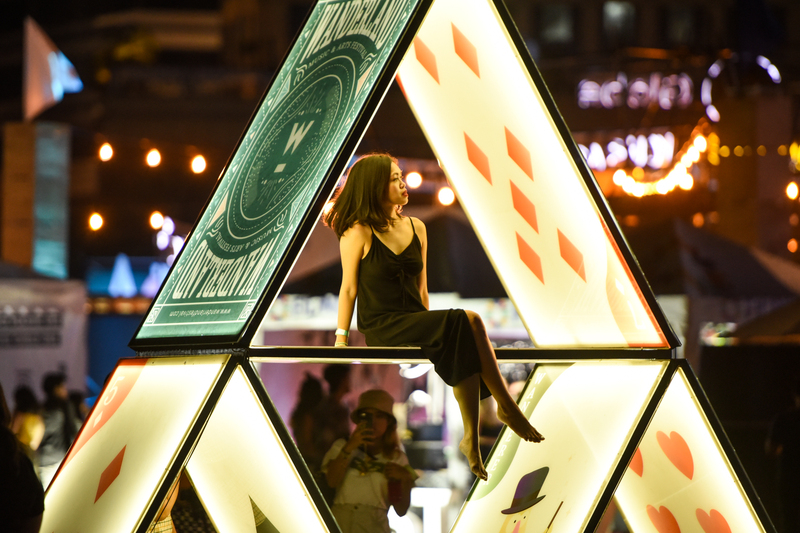 A girl sits atop a card. But on to the real reason why most people went there: the bands. 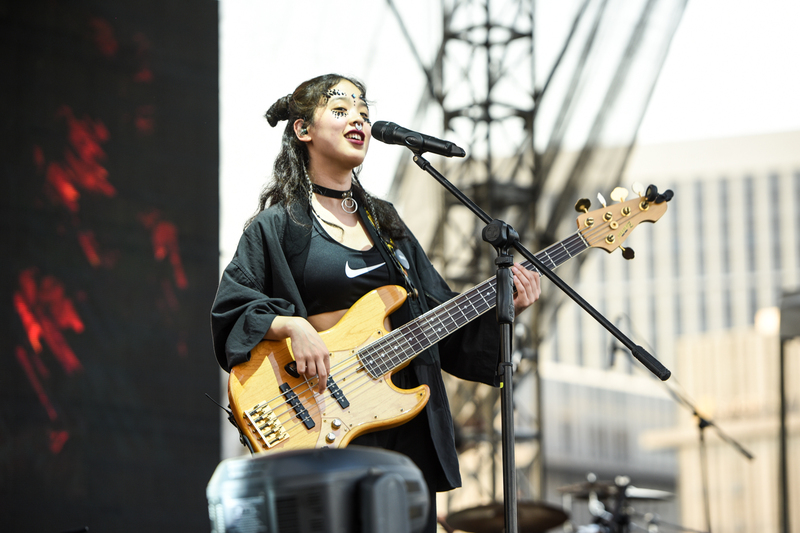 The show's first day started off with big-time artists, both domestic and international, like Two Door Cinema Club, Honne, Gabrielle Alipin, JMSN, SG Lewis, Joan, Unique, Reese Lansangan, Charlie Lim, Autotelic and Intertwined. 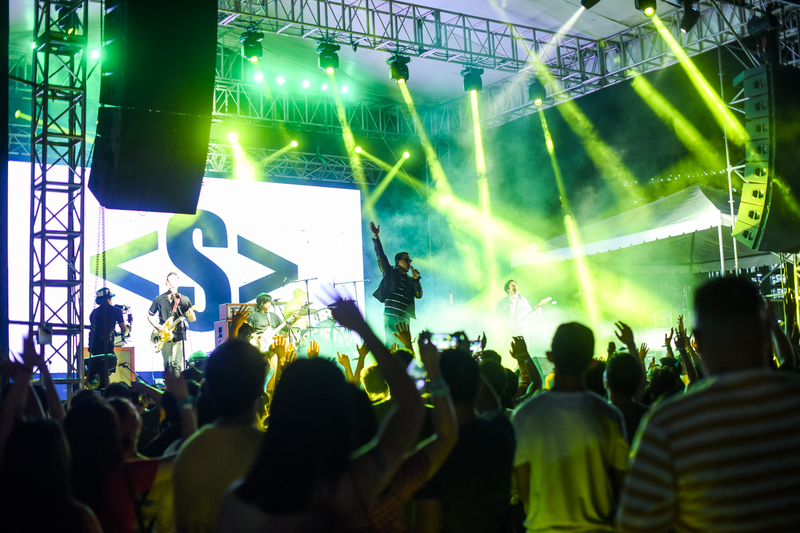 Come Sunday, acts like The Kooks, Masego, Alina Baraz, Clairo, Mac Ayres, Prep, Sandwich, Adoy, Clara Benin, Dayaw and Nathan & Mercury took center stage to cap off the festival — much to the crowd's delight. The bands operated with two alternating stages, making transitions between consecutive artists quick, wasting little time for setting up. 1) Adoy — This synthpop-shoegaze act from South Korea proved as a force to be reckoned with early that afternoon. With catchy melody-driven synths provided for by Zee, the steady, and sometimes reggae-y basslines from Dayoung, simple yet effective fills from Geunchang and trippy reverb-ladden vocals from Juhwan, the band left fans screaming for more. For an idea on how they sound like, listen to their songs "Young," "Runner's High" and "Grace." 2) Sandwich — Twenty years since they dropped their debut album "Grip Stand Throw," the band still appears to be a juggernaut in the local music scene. 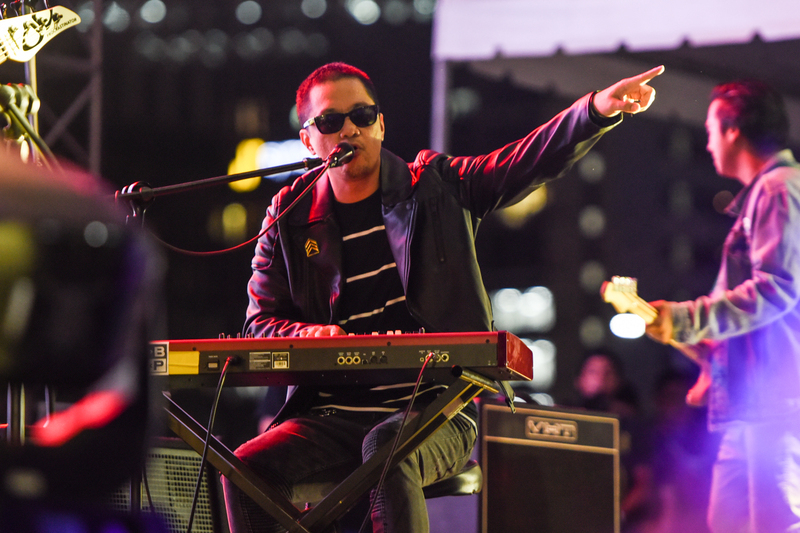 The ever energetic outfit, fronted by Raimund Marasigan of the now defunct Eraserheads, provided the nostalgia and grit of garage and punk rock. As a tribute to those who gave much to the formation of Original Pilipino Music, especially the late Joey "Pepe" Smith, everyone, including the "millenials" and "Generation Z" kids, sang along to the now immortalized anthem "Betamax." 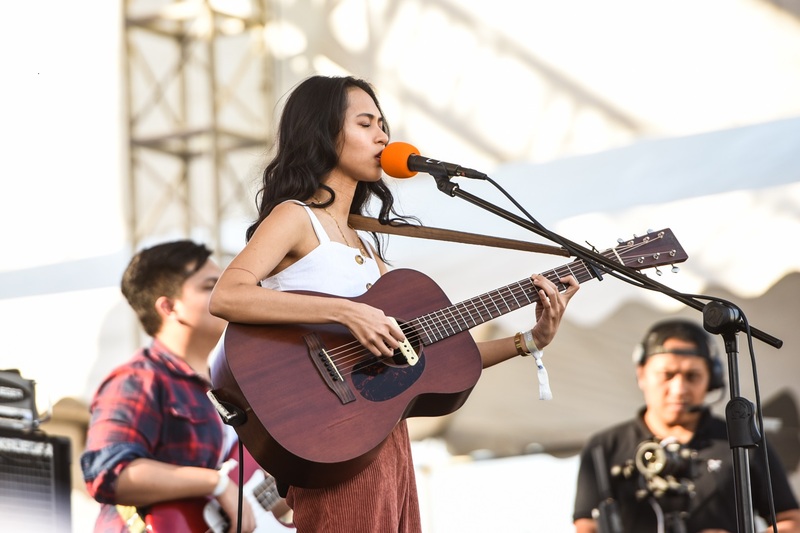 3) Clara Benin — Then known for her outstanding mash-up of UDD's "Oo" and Urbandub's "Evidence," it seems that the local folk pop star has now trully grown to be her own. Simple, effective, no nonesense. The music, especially her vocals, were ethereal and enchanting. 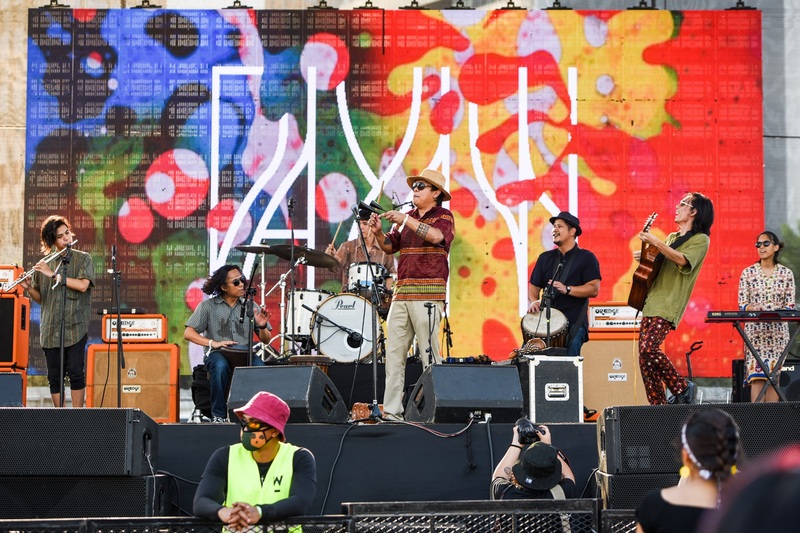 4) Dayaw — A great instrumental outfit, the band's flute player provided sweet licks not normally found in many world music bands. With three djembe players, they provided a thick, solid backbone to compliment the junggle-like rythm of the drums. Their groovy bass lines, jazzy, progressive passages weren't left unnoticed. The drummer certainly knows how to work those hi-hats well. 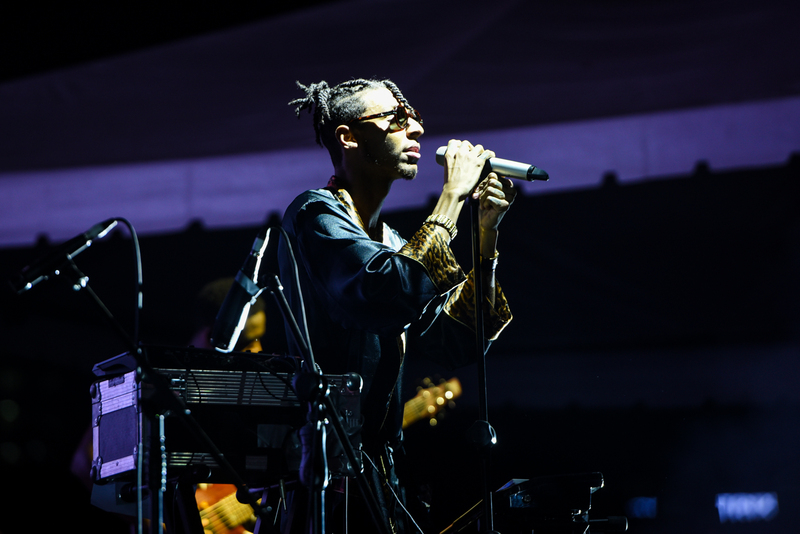 5) Masego — The whole package, not only does he know how to get the crowd going, his singing, on the spot beat-making and utilization of loopers we're quite unique. Him switching from one instrument to the other proved to be a real treat. Every saxophone passage from the man spoke greatly to the soul. Probably the top live artist for day two. 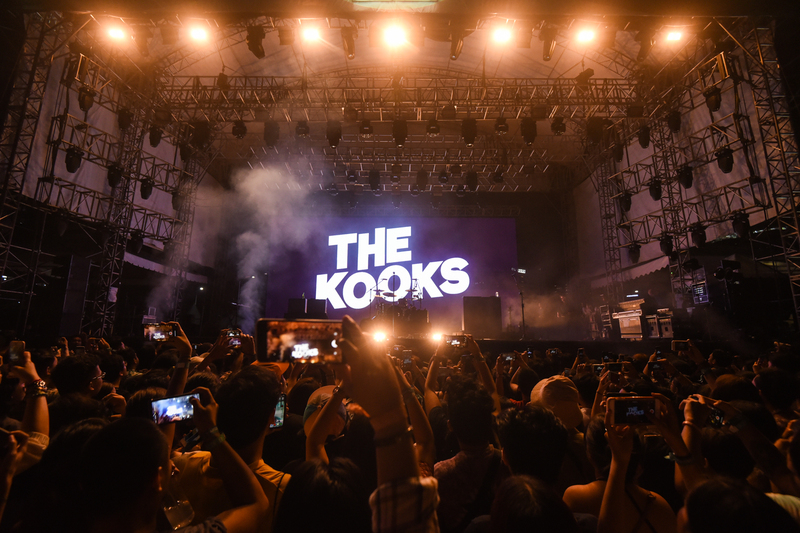 6) The Kooks — A very refreshing act to cap the last day of the event, fans were quick to sing the Kooks' praises, earning a string of encore performances that night. 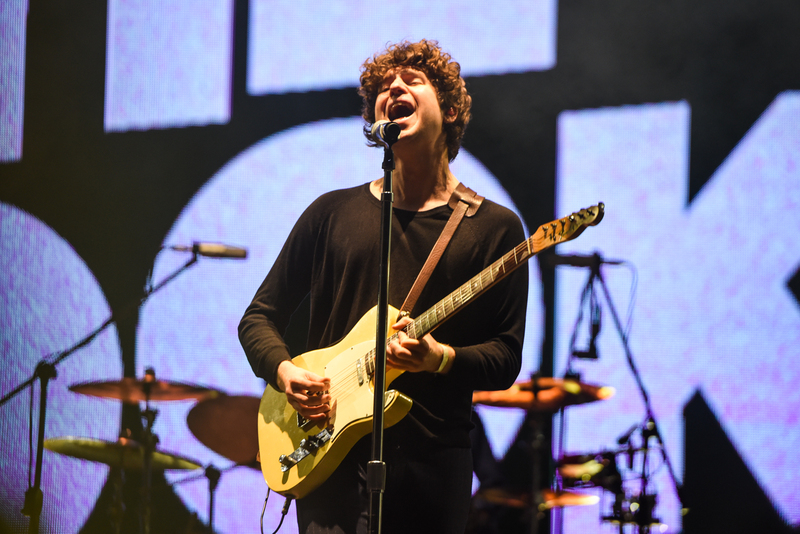 Luke Pritchard from The Kooks. On the other hand, the audio on Clario's set felt a bit weak. Not that it's bad, but it didn't give the same "nostalgic aesthetic" she gave off on her recorded material. However, it's still an okay set which the fans enjoyed. 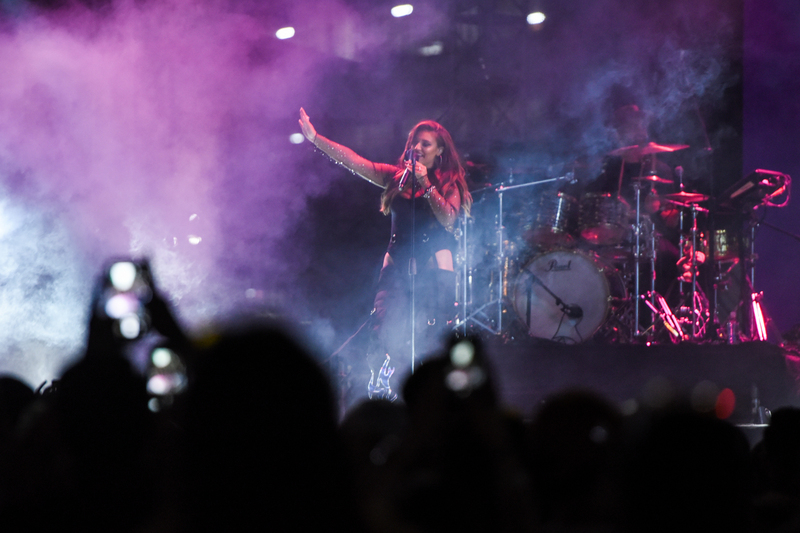 There were a noticable amount of technical difficulties which happened in the set of Alina Baraz, which earned the ire of many. It's not her fault though. 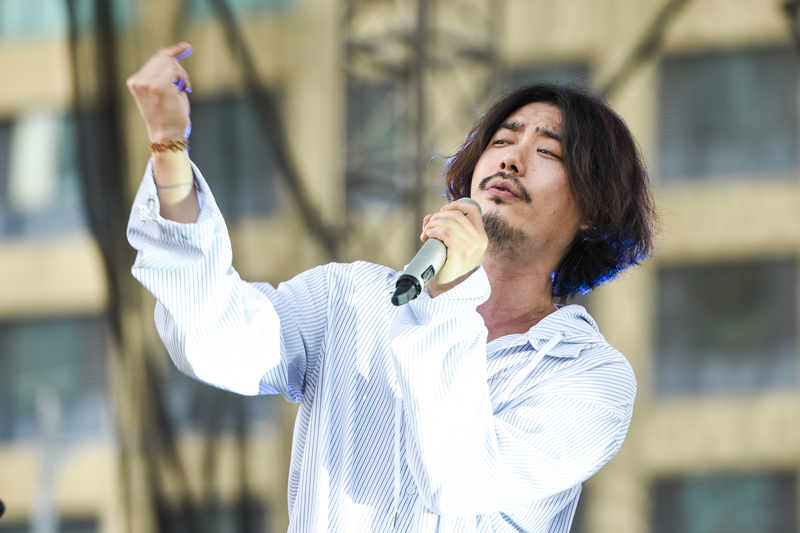 Besides the music, another thing noticable was happening in the concert grounds: a conscious effort to raise awareness regarding environmental matters. Organizers encouraged everyone to collect used beer cups in exchange of freebies, making the work of people who clean up easier. People with tumblers were also given free water refills, with organizers reminding people how many cups were saved by using reusable containers.